When Brandon Prust walked through the doors of the London Health Sciences Centre Children’s Hospital for a special visit in mid-June, he recalled the values his parents instilled in him at a young age. A former member of the Ontario Hockey League’s (OHL) London Knights, Prust, who was born in the city and calls it home during the off-season, helped launch Kids Kicking Cancer. The program teaches children mind and body techniques found through martial arts that can help ease their pain. Tough as nails on the ice, Prust, who played with the Knights from 2002-05, shows a softer side when he meets with kids and their families. During his OHL days, Prust would often make hospital visits, an instant hit with the children he would meet. Last summer, he hosted the Prusty4Kids charity golf event. Several players, past and present, helped raise nearly $130,000, which helped bring the Kids Kicking Cancer program to the hospital. Helping raise awareness and funds, Prust will tell you, is the easy part. Despite the warm welcome he receives, converting those he speaks with into Canadiens fans hasn’t been easy. 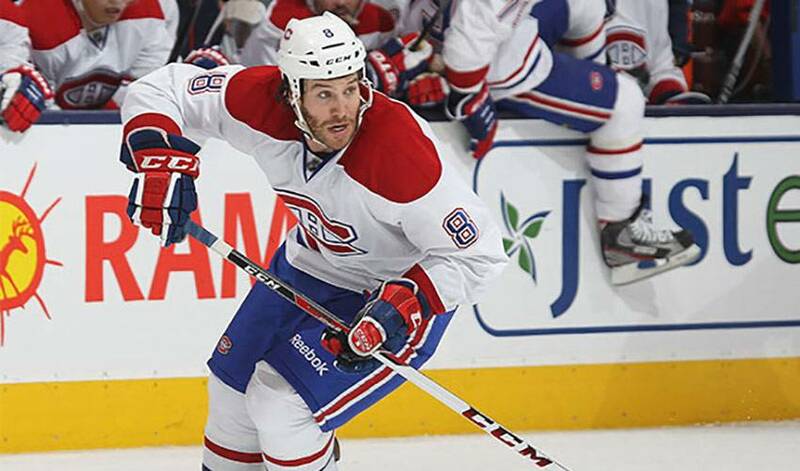 Prust will once again spend the summer in London, catching up with old friends and family. He’ll also train for the 2013-14 NHL season. You can also bet he’ll be making a few more special trips to the hospital. For Brandon Prust, it’s also a wonderful reminder that a little generosity goes a long way.